(to afford the Haute Couture Looks, which are currently being shown in Paris we would have to work a lifetime and probably never eat again – but never mind, we can dream for now). The days where a gym is a sweaty place, with bad lighting and an anonymous vibe are long gone. So called boutique fitness studios have been exploding on the fitness scene for several years. 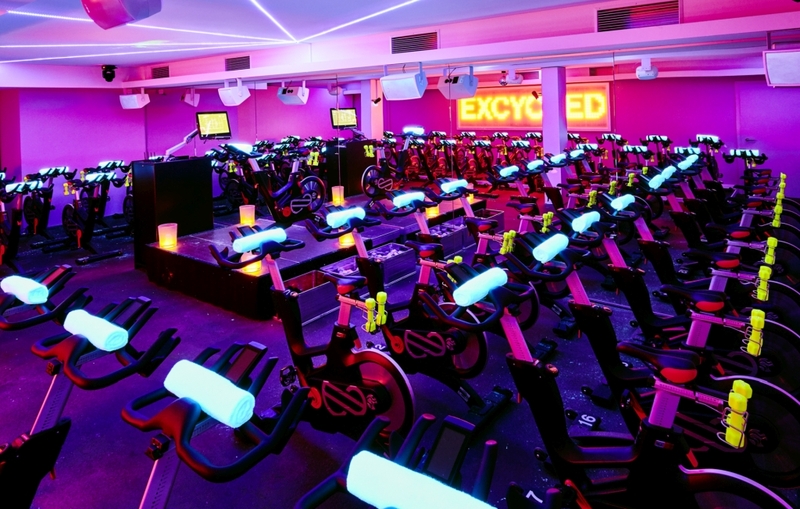 In the US boutique chains have been adding new studios at a rate of 450% per year since 2010 according to the fitness-focused investment firm Piper Jaffray. What is a boutique fitness studio? A boutique fitness studio is generally viewed as a small gym that focuses on group exercise and specializes in a specific fitness areas. Okay, so what’s the appeal you ask? Imagine going to a very exclusive Member’s Club rather than a gym – you are surrounded by energetic people in a social atmosphere where people know you by your first name. The studio looks more like a luxury store, complete with marble; high end products and plenty of good lighting for the perfect selfie. The class is led by an amazing instructor (who is probably super-hot as well), you listen to awesome music and are pushed to your limit in every session. Boutique fitness or boutique shopping or both? The trend of boutique fitness – a personalized and luxurious approach to working out has made it across borders and also landed in our hometown Hamburg, Germany. One of the most exclusive studios being HICYCLE in Hamburg, Eppendorf. 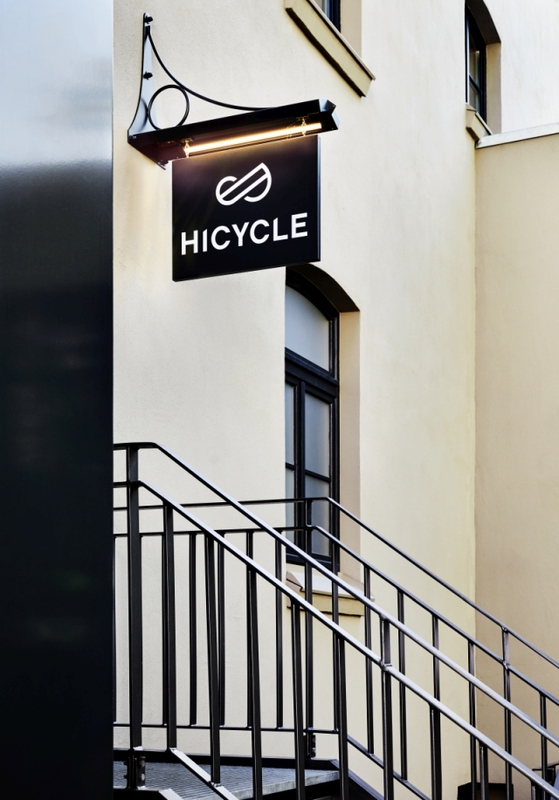 The first indoor cycling studio in Germany was founded by the Hamburg native Michaela Cordes, who opened the first HICYCLE studio in May of last year. A few years ago, the graduated journalist moved to New York for a job opportunity and immediately fell in love with the US and the cycling workout. Many years later Michaela, Editor-in-Chief of Grund Genug Magazine, moved back to Hamburg and missed the workout so badly that she decided to found her own studio. “With HICYCLE we want to bring the energy, the feeling of Manhattan and the effective cycling workout to Germany”- Michaela Cordes. And they sure did this with success – by now all of Hamburg is addicted to this workout and get can’t enough of the intense 45 minute “Cardio-Party on a bike”, where you can burn up to 700 Calories in one session and work your entire body on the indoor-bike in an awesome nightclub atmosphere. The endorphin intoxication of the workout is always a HIGH – btw what the studio is named after: HI(GH)CYCLE! And because this studio is an exclusive Member’s Club you also have to have the right outfit and can’t just come in your old sweats – this is where the Alsterhaus Hamburg can help out. “With the expansion of our athleisure-area in the Alsterhaus, we are following the increasing fitness trend in Germany and offer our customers a multitude of international sports brands. The cooperation with HICYCLE is an exciting combination and shows how fitness fashion trends are implemented. “- Timo Weber, Managing Director Alsterhaus. On Saturday January 27th, 2018 HICYCLE is moving into the Alsterhaus for one day only. 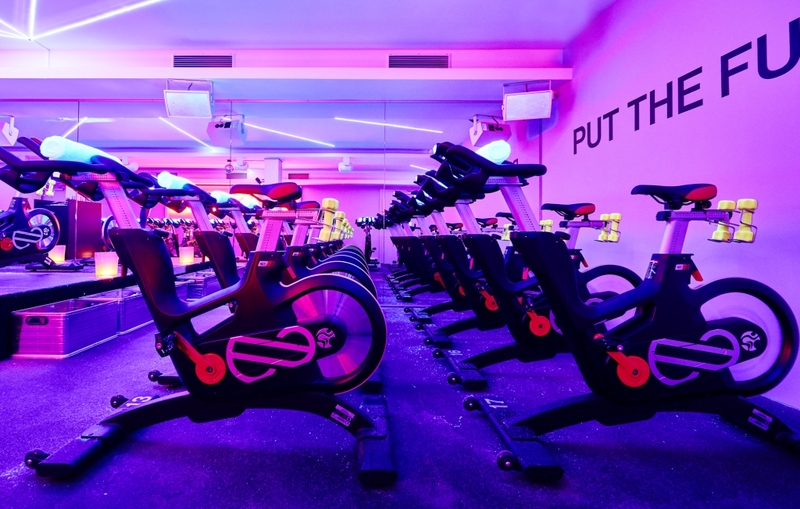 During this exclusive Popup there is going to be a total of 6 classes (45 minutes) on 10 Indoor-Bikes on the second floor of the Department store. Amongst Valentino, Missoni, Armani, Dolce Gabbana and Moschino the guests are going to sprint, bounce, dance and sweat on the bikes! You can sign up for free and book your class on www.hicycle.com. Available from 12pm to 7pm. Shoes, Towel and Water are provided on site. Whether you are a beginner or a rockstar – addiction is guaranteed. For all of those who only want to watch and not sweat: at 1pm there is a showclass with trained HICYCLE rockstars. HICYCLE is trendy, fun, intense, and the best part is you come out feeling like you performed at your peak with an euphoria you can carry with you for the rest of your day. Time to get #GETEXCYCLED, Guys & Girls!